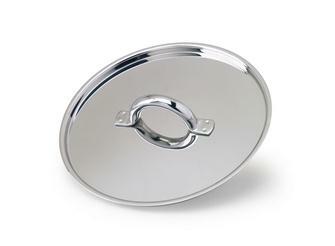 Copper and stainless steel saucepans. 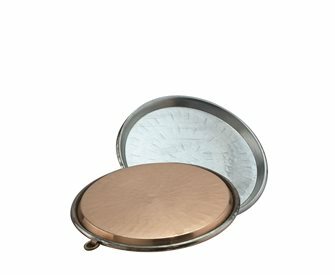 Copper is an excellent heat conductor and the stainless steel interior is easy to clean and avoids the copper being in direct contact with the food. 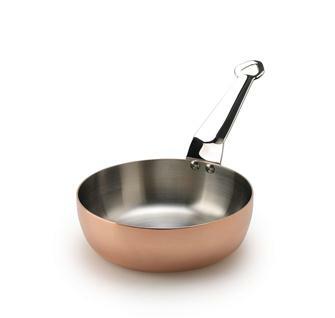 Copper pan 24 cm, stainless steel interior. Stainless steel handle. 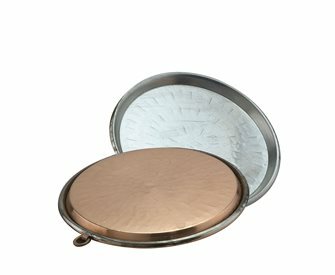 Frying pan in tin lined copper - 10 cm - with brass stick handle. Copper socca pan measuring 30 cm for making Nice socca or Italian farinata. Copper socca pan measuring 45 cm for making Nice socca or Italian farinata. 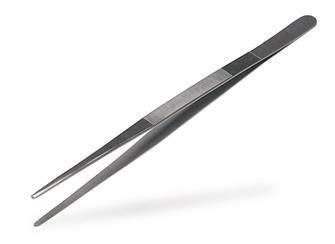 Stainless steel tweezers for decorating your plates like a chef. 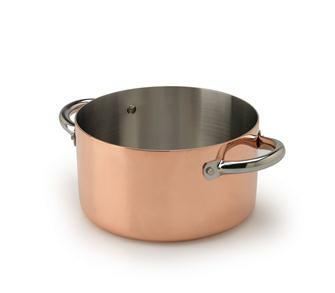 Copper stewpot 24 cm, stainless steel interior. 16 cm stainless steel curved forceps, with its curved tip, ensures delicate and precise handling of all ingredients. Copper socca pan measuring 34 cm for making Nice socca or Italian farinata. 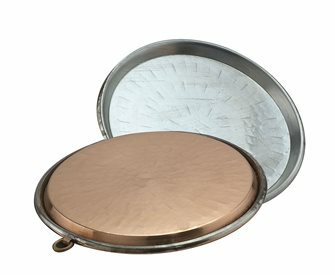 Egg pan - 14 cm - in tin lined copper with brass handles. 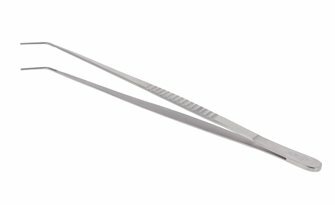 Presentation forceps with a curved tip in stainless steel 35 cm, with its long curved tip it ensures a delicate and precise handling of all the ingredients. 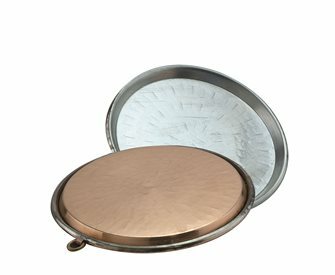 Copper saucepan 16 cm. Stainless steel interior. Stainless steel handle. 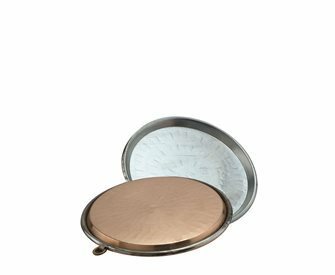 Copper pan 16 cm, stainless steel interior. Stainless steel handle. 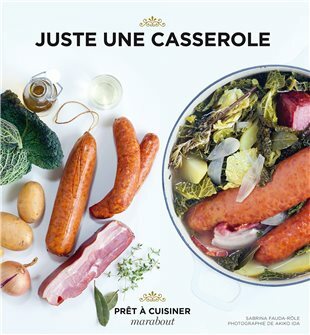 Copper stewpot 20 cm, stainless steel interior. 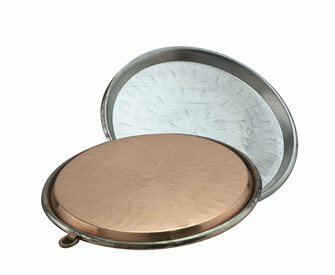 Frying pan in tin lined copper - 14 cm - with brass stick handle. Copper socca pan measuring 40 cm for making Nice socca or Italian farinata. 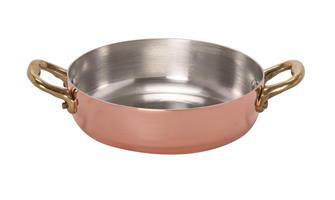 Copper pan 20 cm, 2 litres, stainless steel interior. Stainless steel handle. Copper socca pan measuring 50 cm for making Nice socca or Italian farinata. 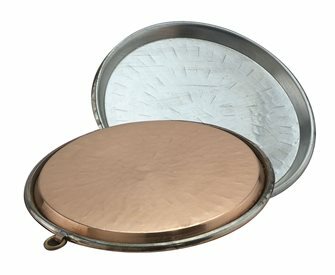 Flat lid measuring 20 cm in diameter for copper cooking utensils. Copper socca pan measuring 36 cm for making Nice socca or Italian farinata. 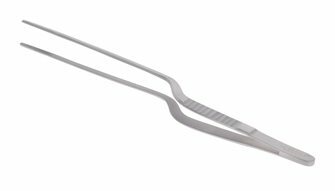 Stainless steel angled forceps 20 cm, fine and light it ensures precise handling of all ingredients. 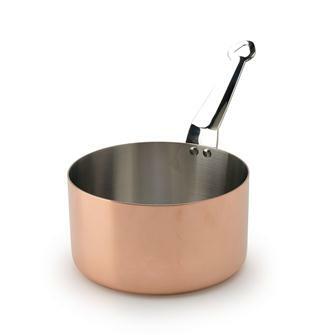 Copper saucepan 20 cm. Stainless steel interior. Stainless steel handle. 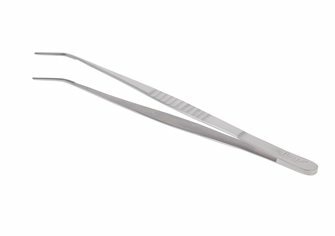 Stainless steel curved forceps of 30 cm, with its long curved tip, it ensures a delicate and precise handling of all the ingredients. Copper socca pan measuring 32 cm for making Nice socca or Italian farinata.